Have Fun in the Spring Festival Carnival! 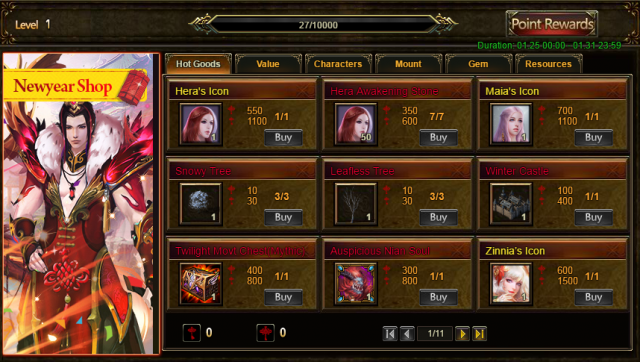 Have Fun in Spring Festival Carnival in League of Angels! The Chinese New Year, also called Spring Festival, is the most important and widely celebrated festival of all in China. Like Christmas in the West, people exchange gifts during the Spring Festival. The most common gifts are red envelopes (lucky bags). Come and check out the fantastic events that League of Angels has prepared for you at the special time of the year! Description: Happy Lunar New Year! Use your Lucky Bags to open chests and exchange Chinese Knots for amazing items! 1.You can exchange your previous for different lucky bags during the carnival(from 1/25 to 1/31)! 4.Check out Spring Festival Time and Spring Festival Feedback in Hot Events EVERY Day! 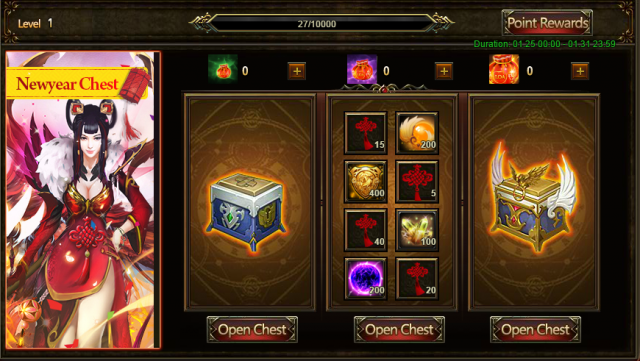 2.Opening chests in Newyear Chest. 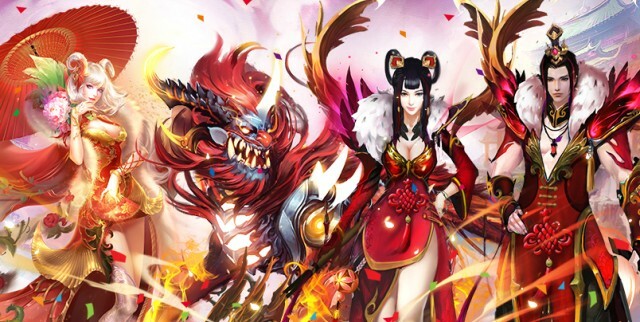 During the event, the set of Spring Festival equipment will be available in Newyear Shop, where it can be exchanged with Chinese Knots. Friendly reminder: The Exclusive 2017 Spring Festival equipment can ONLY be obtained from Spring Festival events. In addition,the Angel Exclusive gives you Elianna and Apocalypse from Jan.26th to Jan.28th(server time). Choose your own guardian angel and defend the angelic land!